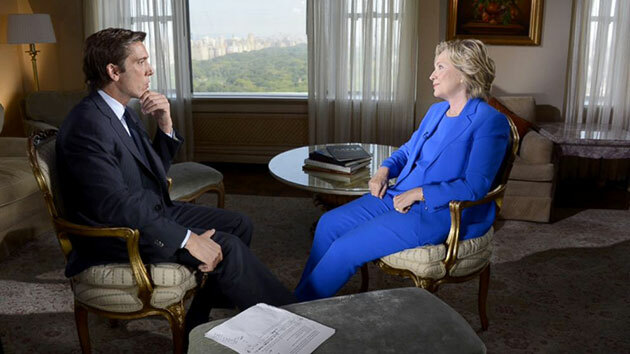 After two recent interviews in which Hillary Clinton said she would not apologize for her use of a private server, Clinton has now apologized in an interview with ABC News. The problem for Clinton is that an apology given in the face of considerable criticism for failing to do so hardly reverses the damage done. Clinton has to say far more than that this was a mistake. She needs to explain why she set up the private server after she had criticized the Bush administration of shredding the Constitution for using private email. She needs to explain why she exclusively used private email when there were clear policies set up against this practice. Exclusively is in bold as this is a key word. Clinton supporters have used statements that private email was allowed to obfuscate the fact that while occasional use of private email was not prohibited, the exclusive use of private email was. Clinton needs to explain why she did not turn over the email for archiving by the State Department while she was still in office, as required. She needs to explain why she failed to comply with Freedom of Information Act requests for information in her email. She needs to explain why she deleted over half of the email, especially when it has been discovered that email related to Libya and terrorism have been deleted or altered. She also needs to explain why she failed to comply with her agreement to disclose the donors to the Foundation while she was Secretary of State. An apology (or false claims from some Clinton supporters that she was “cleared” by the State Department) are not going to put an end to the various FOIA suits in progress, the RICO suit which is scheduled to be heard in January, or the investigations into the presence of classified email on her server, which was verified again in a report from The New York Times. Politico reports that John Kerry is appointing a new “czar” at the State Department to improve the problems with transparency created by problems with responding with FOIA requests. My post on the prior two interviews also contains multiple additional links with background information and confirmation of the accusations against Clinton from fact check sites. It is not clear whether any of these efforts can help Mrs. Clinton revamp her candidacy and regain momentum amid persistent questions about her use of a private email server at the State Department and an electorate in the early nominating states that seems increasingly captivated by the insurgent candidacy of Mr. Sanders. Previous attempts to introduce Mrs. Clinton’s softer side to voters have backfired amid criticism that the efforts seemed overly poll tested. This time the strategy will compete with news coverage on the latest developments over her email. Here’s the thing about Hillary Clinton reinventions and new directions: They’ve all been tried before. The latest, per The New York Times, will feature more spontaneity (the scripted kind? ), a touch of extra authenticity, and highlight her potential to make history. All worthy goals, though a quarter century in public life and a previous, epic run for president have made surprises harder to achieve than good Chipotle takeout. But she does have some advantages built in that work post-Labor Day. First, having more actual interactions with voters, and having smart reporters ask insightful questions of her, can produce the kinds of moments Clinton needs to produce some excitement. And second, real competition can help. The heating up of the Democratic race can show passions that Clinton backers want to see. If not, there is time left for new directions, again. There was an attempt to hack the blog earlier. In response some files with malicious code have been removed. This could impact some functions of the blog but I don’t have time to check out everything right now. If you notice anything unusual here, please let me know.